The greatest concert experiences out there will likely cost you a mortgage payment and then some. The music industry is notorious for filling up the largest venues they can and charging a premium to be a respectable distance from the stage. In all honesty, this has created real barriers for many fans. A die hard fan with little disposable income has no choice but to take a nosebleed seat. But many artists are pushing back against this and are creating shows that are more accessible to fans of all income levels. Secret shows announced with little warning, capped ticket pricing, and small intimate performances with low ticket prices are becoming more and more common as artists push to make their music more accessible. They want to perform out of a love for their fans and their music over revenue. Nothing says “I am in it for the music” like rebelling against the industry standard of bigger names equalling massive venues and extremely absurd ticket prices. But a fan has to be avid with their attention, because these shows are often not widely advertised and sell out quickly. In that way, these shows truly cater to the die hard fans. I am one of those die hard fans. 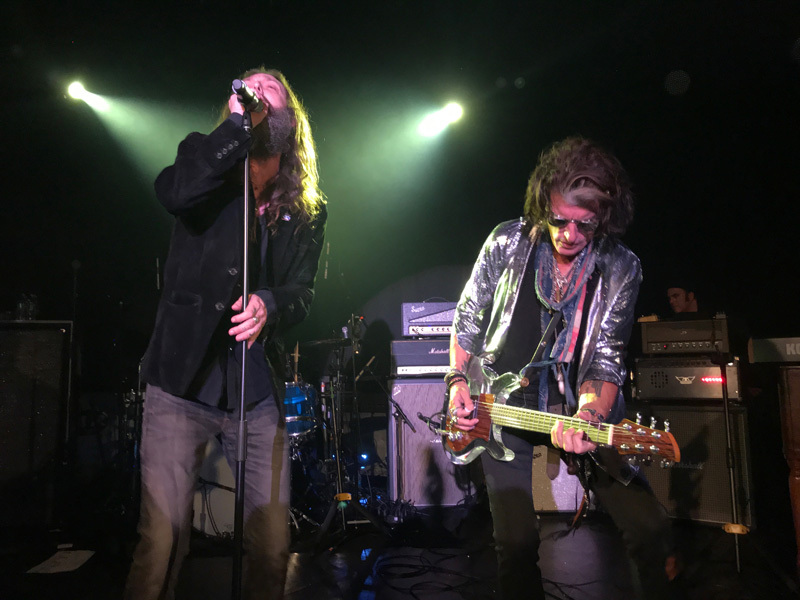 I love Aerosmith, so when Joe Perry (lead guitarist for Aerosmith) announced he was having a record release party for his newest solo album on January 16, 2018, in L.A. at the iconic Roxy Theatre, my bags packed themselves. The tickets for this show were only $50 and were general admission. The show sold out in less than three minutes. The venue they chose was the Roxy with a capacity of only 500 people AND did I mention general admission? With a little dedication, a front row spot was up for grabs to anyone who was willing to put in the time. I flew into L.A. on the cheapest flight available with only a backpack for luggage. I picked up my rental car from a cheap company, and headed to a hotel on the Sunset Strip that hasn’t changed all that much since the 1960s. The next morning I arrived at the Roxy at about 10:30am. I was not the first in line (yes, this is 10 and a half hours before Joe Perry would take the stage). The first four of us in line were from all over the country and across the globe. We die-hard fans were from California, Tennessee, Minnesota, and Japan! I then met up with my friends a little later that day. We spent the entire time talking, eating snacks, eavesdropping on soundcheck, and watching the paparazzi and autograph sellers stalk the celebrities around the building. It may seem like a ton of effort. But it really wasn’t. I used 2 vacation days and by being willing to make the concert my soul focus for that one day and give it those 10 extra hours others won’t, I was able to have a priceless experience without the pricetag. AND the entire trip cost me less than a floor seat at a Taylor Swift concert. And I was closer to the stage and surrounded by rock and roll royalty. And how close was I? Shameless "Look how close front row is" selfies. My friends and I were front row leaning on the stage that was calf-height. My friends and I before the crowd gets in. Joe Perry (Aerosmith), Johnny Depp* (Hollywood Vampires), Robin Zander (Cheap Trick), David Johansen (The New York Dolls), Terry Reid (Jaywalkers), Gary Cherone (Van Halen), Dean and Robert DeLeo (Stone Temple Pilots), Buck Johnson (keyboards/Aerosmith), Slash* (Guns & Roses), Chris Robinson* (Black Crows), and David Goodstein (drums). I was especially excited to see the surprise guest Johnny Depp, since he had performed in Dublin, Ireland just the night before on January, 15. I was amazed he was even in the country! Having seen him play before with the Hollywood Vampires I expected him to be the audience favorite and steal the audience’s attention. But he didn’t. This audience was there for Joe Perry and Friends. I noticed Johnny making a conscious effort to keep towards the back of the stage and let all the rock legends shine. 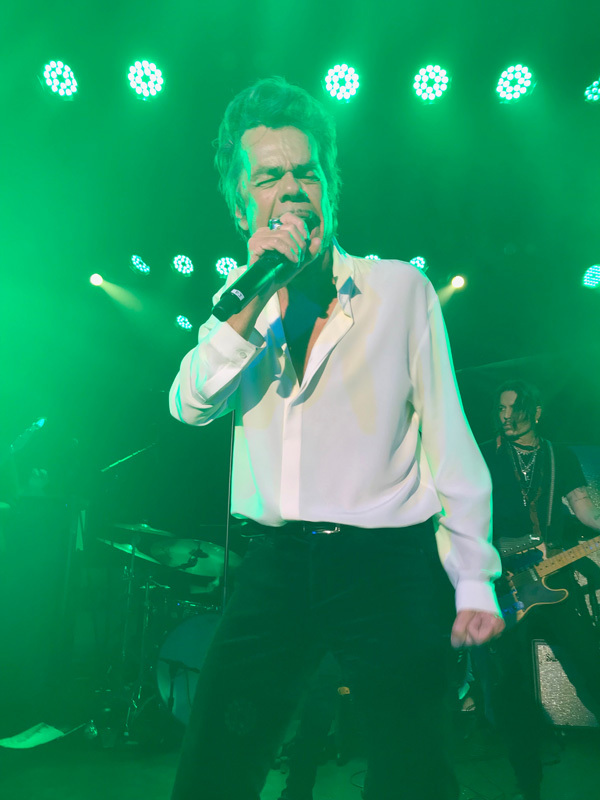 My other highlights were the performances by Terry Reid, Gary Cherone, and David Johansen none of which I hade seen perform live before. They were each extremely talented leads and had unique styles. I also loved hearing Robin Zander from Cheap Trick as well as getting to see Slash! That was my first time seeing Slash perform in person as well. The stars were also shining in the crowd. 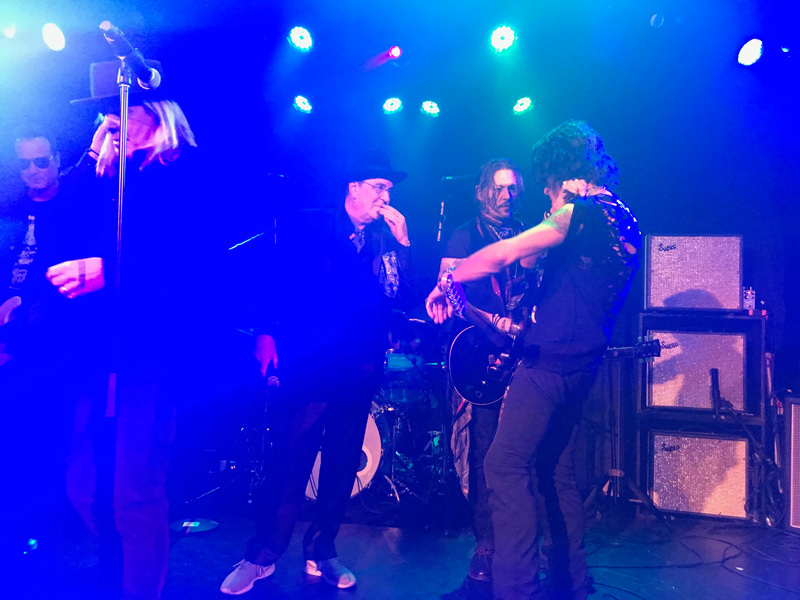 Matt Sorum and Duff McKagan were in attendance. And I ran into Tommy Henriksen from the Hollywood Vampires after the show. Gene Simmons of KISS was even there! And many many more members of rock and roll royalty were there. A joke was told during the show. “Joe Perry once said to his dad ‘when I grow up I want to be a musician.’ And his dad answered ‘Son, you have to chose one.’” This post goes out to everyone who didn’t make a choice.